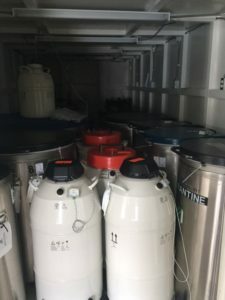 We are happy to report that ReproTech’s Florida cryostorage center, including all cryopreserved tissue, experienced no damage or effects of Hurricane Irma. Our Florida office is up and running, business as usual. We followed our natural disaster protocols, which included storing all specimens in our Category 5 Hurricane Safe Room, certified to withstand 330 mile per hour winds. 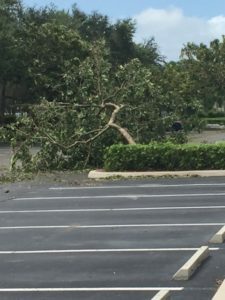 While Irma was a significant storm, the impact on the Coconut Creek area was less than we anticipated. We are proud and fortunate to have a dedicated team at ReproTech. Thank you to our Florida staff who prepared and persevered through Irma, and to the staff at our three other centers who covered the phones, emails and offered their full support. Our hearts and thoughts continue to be with those who have been affected by the devastation of this storm. ReproTech prepared our Florida office for Hurricane Irma. We followed our natural disaster protocols, which included storing all specimens in our Category 5 Hurricane Safe Room, certified to withstand 330 mile per hour winds. While Irma was and still is a significant storm, the impact on the Coconut Creek area was less than we anticipated. We prepared for the worst but hoped for the best. 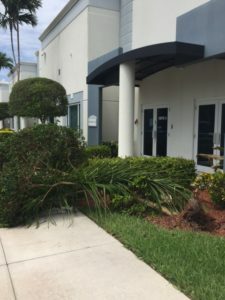 Today, we have lost power from Florida Power and Light, however, as previously mentioned, the storage tanks do not require electricity to maintain safe temperatures. 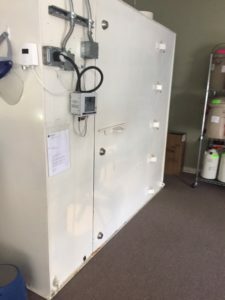 We do have an onsite generator and inverter and will be manually monitoring the tanks until the communication lines and electricity come back up. Our Site Director and other staff rode out the storm in their homes locally, while others left but are now working their way back to the Coconut Creek area. It may be several days before we have full power and communication. We will be responding to e-mails and answering phone calls via our other cryostorage centers temporarily. We will begin shipping and deliveries again as conditions allow.